Taking care of your leather footwear, especially after you’ve walked in snow or mud, will last longer and will look impeccable for many years! First of all remove any trace of mud and snow with a damp cloth, and then with a dry cloth. Let the leather shoes to dry naturally, away from any heat source. 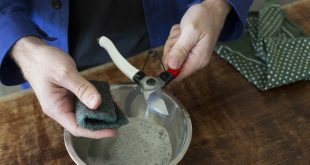 The next day, after the leather is completely dry, it’s best to apply a special cream for leather boots, or body milk. Another option is to apply oil using a dry cloth. Body milk or cooking oil will keep the leather moisturized and elastic. 1. Mix a little bit of ice cream with a few drops of rubbing alcohol, and then polish the boots with this solution. The method is especially effective for natural leather boots, which is thicker. 2. Natural leather shoes that have dried too hard and wrinkled will regain its natural shape with castor oil. Apply castor oil on your leather boots and let it act overnight to soften well. 3. 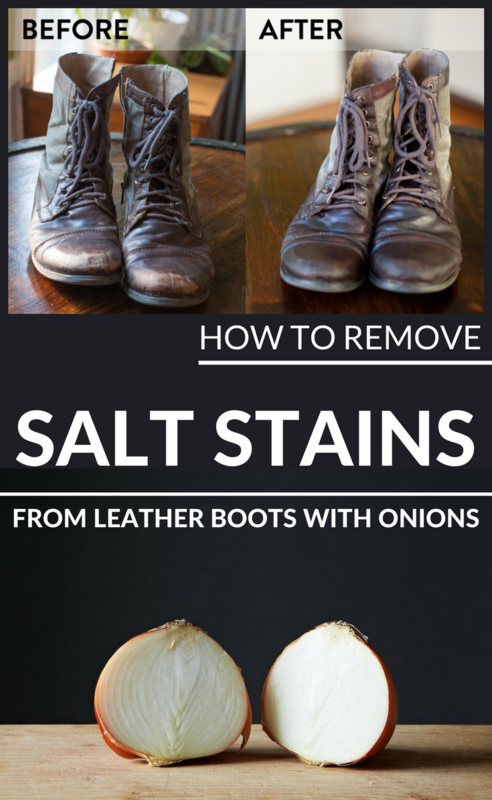 Those white traces left by snow and salt are easily cleaned with onions. Cut an onion in half and polish the snow and salt areas with the juicy side. Onion juice melts the salt that remains on the natural leather and gives it its elasticity. 4. If the leather has cracked it can be repaired with well mixed egg whites. Rub the areas cracked with egg white until it enters the leather, let it dry, and then polish it with oil.